I miss catching up with Thea Samios at Brisbane ABCD meet-ups. 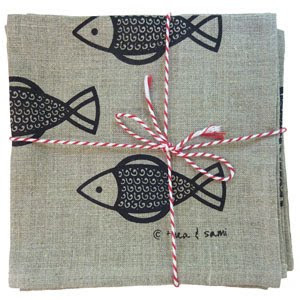 She's a fun, happy, supportive creative soul who creates lovely eco-friendly screen-printed textiles under the Thea & Sami label (you may remember reading about Thea on Bondville). 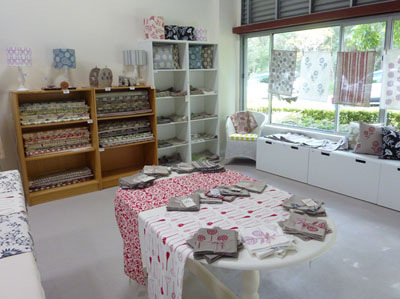 In Thea's latest newsletter I discovered her new napery (the cross stitch rose is my favourite), and her new studio shop, open to the public in the bayside Brisbane suburb of Capalaba. 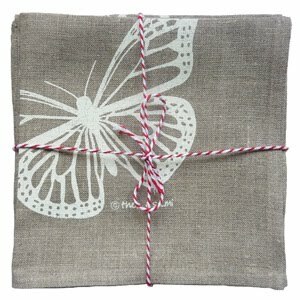 Apart from selling her lovely homewares and textiles, Thea also runs screen-printing workshops (high on my to-do list). The studio shop at unit 1, 6 Jones Rd, Capalaba, QLD is open Saturdays from 10am - 3pm where you may catch some screenprinting in action if you are lucky. 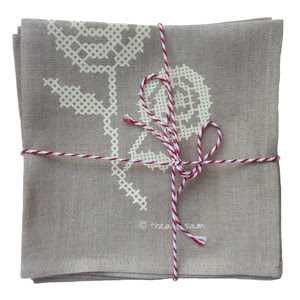 Thea is hosting an Australia's Biggest Morning Tea event (including goodie bag with tea towel!) at the studio on May 26th to fundraise for the Cancer Council. 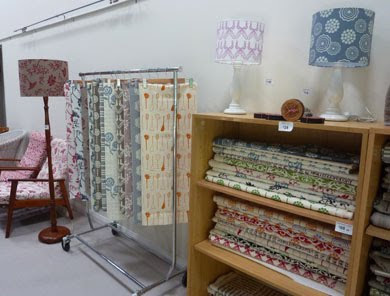 For more information, check the Thea & Sami studio blog. The lamps look so lovely! Thanks for sharing this. Fantastic idea for a shop, great job ladies. Wow! Looks gorgeous Thea. 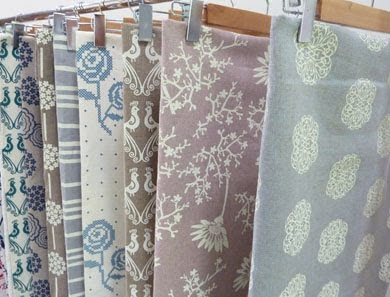 So light and airy, a beautiful backdrop for your gorgeous textiles. Congratulations. Thea - I would love to!